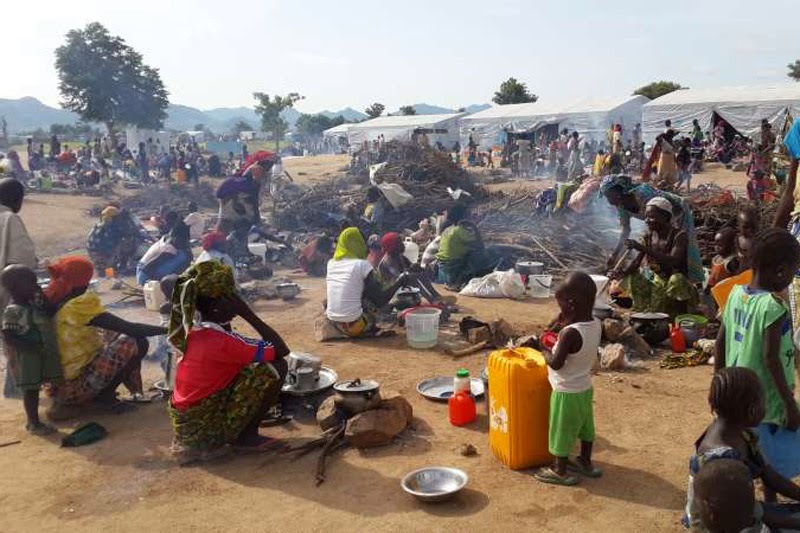 UN - 3 March 2015 – The exodus of Nigerians fleeing violence in the country’s north-eastern regions continues amid an influx of sixteen thousand refugees into neighbouring Cameroon, the United Nations refugee agency (UNHCR) has reported. Speaking to journalists at a press briefing in Geneva earlier today, UNHCR spokesperson Adrian Edwards said Cameroonian authorities had observed a steady flow of refugees streaming in through the “extremely volatile” border regions of Makaria, Logone Birni and Fotokol, just south of Lake Chad, rendering them vulnerable to attacks from the Nigerian insurgent group, Boko Haram. Clashes between Boko Haram and Nigerian Government forces have intensified in recent weeks as fighting has spilled across borders and become increasingly regionalized. During the past few weeks alone, the group has also perpetrated deadly attacks against civilians in Chad, Cameroon and Niger. Mr. Edwards noted that UNHCR was already planning daily transfers of 2,000 refugees to Minawao, where there is an established refugee camp currently hosting more than 32,600 and where urgent shelter and sanitation construction is under way. At the camp, he added, UNHCR would also be providing basic relief aid, such as blankets, kitchen sets and soap. The surge in fighting across the region has largely hampered efforts to provide humanitarian assistance to those in need. Mr. Edwards told journalists that UNHCR was working with the Cameroonian Government to relocate refugees as quickly as possible from the zones of active conflict to a nearby transit area but that due to the unstable situation the refugees had become difficult to reach. He added that the evolving security situation and the prospect of more refugee arrivals had prompted the need for the creation of a new camp further away from the insecure border. “Given the scarcity of water in the area around Minawao, we are looking to secure a second camp location that will provide adequate levels of potable water for a rapidly growing refugee population in the Far North region,” he explained. According to UNHCR, the latest movements are expected to bring the total of Nigerian refugees in Cameroon to nearly 66,000. Elsewhere in the region, refugee numbers are also rising. Some 18,000 people have fled to western Chad including more than 15,000 since early January after Boko Haram’s offensive against the town of Baga in Nigeria’s Borno state. Meanwhile, more than 100,000 people have already found refuge in Niger despite a steadily deteriorating humanitarian situation and a spike in insurgent attacks against the towns of Bosso and Diffa. The refugee crisis is also compounding the economic stability of the area. A recent World Food Programme (WFP) food security and vulnerability assessment in Niger in November 2014 showed that a total of 52.7 per cent of displaced households and their host families were severely – 14 per cent – or moderately – 38.7 per cent – food insecure, and in need of food assistance.